These past weeks have seen me move increasingly from secondary literature into primary sources. 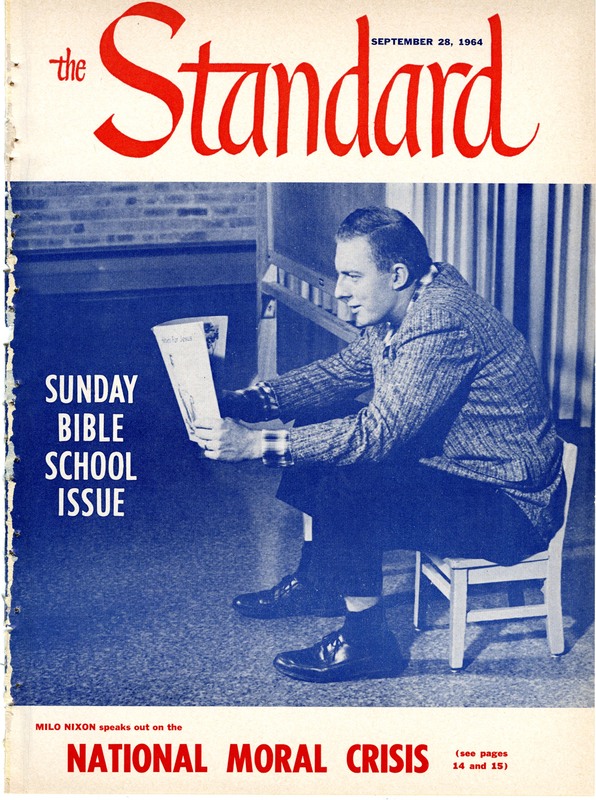 In particular, I’ve been paging steadily through the Standard, the official organ of the Baptist General Conference – then Bethel College’s sponsoring denomination – which ran from 1940 to 2002. That year the magazine became BGC World and in 2008 when the denomination changed its name to Converge Worldwide, the magazine followed suit, becoming Converge Point, as it is known today. With all of that in mind, today’s introductory post serves to kick off a three part series looking at the ways the Baptist General Conference reacted to the Vietnam War. Over the course of the series, I’d like to accomplish two things: first, I want to put the Standard in dialogue with some of the secondary sources I’ve been reading to see how well the BGC’s experience of Vietnam compares to other evangelical groups. And second, I want to build a (potential) contrast to Bethel’s wartime campus. I think that second point is especially important for a handful of reasons. First, it might be tempting to view the denomination and college as a monolith, particularly in light of the close connections between the BGC and the college leadership. 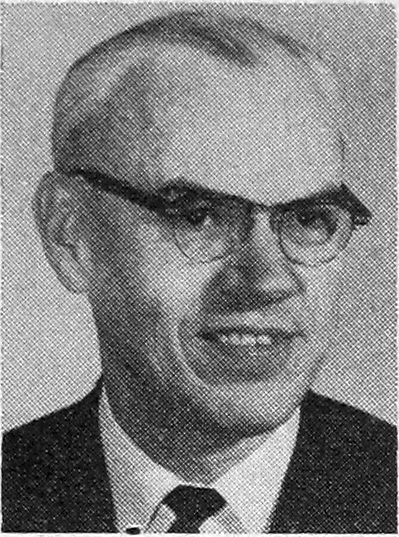 Bethel was (and continues to be) sponsored by the BGC, and Bethel’s then-president Carl Lundquist was steeped in the denomination, attending Bethel briefly as a student in the 1930s, then pastoring one of the Conference’s flagship churches from 1943 to 1953 before assuming the Bethel presidency that year. 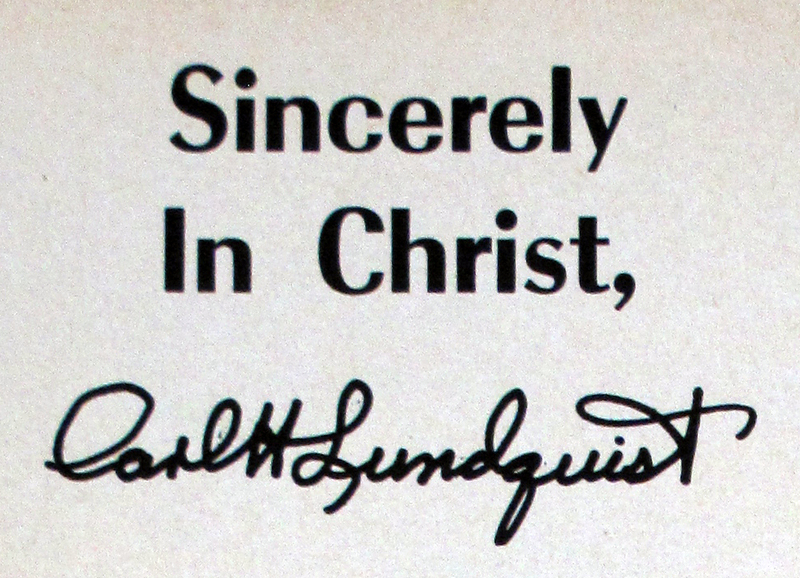 As a pastor and then as president, Lundquist contributed frequently the the Standard and other denominational publications. Other college officials too, were influential in the Conference. 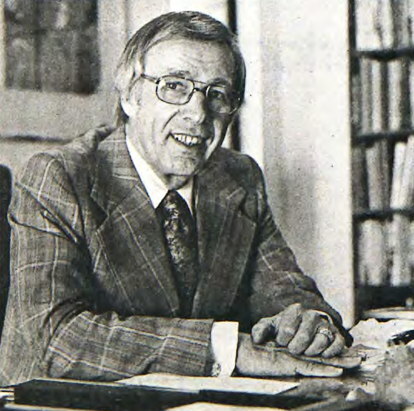 The college dean through 1966, Clifford Larson, was a long-time BGC member and often published editorials in the Standard. At the presentation of the Brushaber nomination to the BGC for approval, there was some concern that he did not have any BGC background or previous connection to Bethel. President Lundquist called Brushaber and said that the BGC delegates had questions that needed to be answered. Brushaber flew out to the meetings and answered the questions. He was eventually approved as the first non-BGC “outsider” to join the educational leadership team (Five Decades of Growth and Change, page 33). However, although they shared leadership, it would be unwarranted to assume both organizations reacted to the war in the same way. At root, I think, are the different constituencies of each organization. While Bethel’s population was almost entirely young people under the age of twenty-five, the BGC naturally consisted of much older, often more conservative – both politically and theologically – people. Bethel’s leaders then, as those entrusted by the Conference to govern Bethel, addressed a fundamentally different audience when writing in the Standard than they did in campus publications such as the Clarion. It’s this area – the differences expressed in language, emphasis, and tone between Conference-oriented and college-oriented publications – that I hope proves most illuminating in understanding Bethel against the background of its Conference. Of course, Bethel leaders are a clear minority among the authorship of the Standard. Far more prevalent are the voices of the editorial board and the various Conference pastors called upon to offer regular commentary (for instance, the Standard had a regular sermon column written by a rotating panel of pastors). In this respect, it’s hard to know just how representative of the Conference the Standard was, in spite of its being the official organ of the BGC. It’s realistic to assume that more often then not, what the Standard really represents are the views of the editorial board, and in particular, the editor-in-chief, one Donald Anderson (I haven’t done any digging on Anderson yet, but I intend to eventually). Although an often opinionated man, it’s to Anderson’s credit that he maintained a interactive section featuring feedback on each issue’s content. Dissenting letters didn’t often appear here, but I suspect that was due more to the ethos of the Conference than any editorial suppression. Moreover, when they did appear, dissenting opinions could express unrestrained umbrage at the editor. In the end, I think it’s best to take the Standard for what it is – a problematic, non-democratic, snapshot record of the edited thoughts and opinions of particular Conference Baptists. In short, the best resource we have to understand the Baptist General Conference in the 1960s. While we wait for Part I of this series to come out, I invite you to browse the Bethel University Digital Library which has some of the Standard scanned and archived online. Although all of the issues are currently from the mid 1950s, they’re still interesting resources. Conference culture changed slowly for the most part, and even issues from 1957 can give a flavour for what life the BGC was like midcentury. >>> Read Part 2 here.